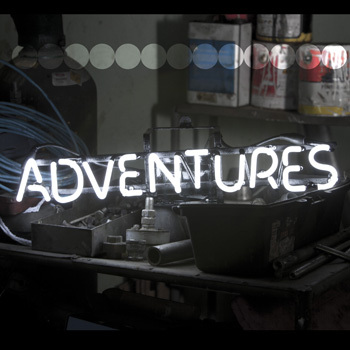 Canada's Germany Germany who we've written about before here is back with an excellent new album called 'Adventures'. He sent the new album our way for review and I am loving it! Been playing it non-stop! He is inspired by artists like Postal Service and DNTEL and I can see the influences, particularly for DNTEL. Dreamy, electro-pop goodness. Some instrumental, some with vocals, but all really good! He just started selling the 17 track album on his bandcamp this past Sunday for only $5. Well worth the price! This kid is only 20 yrs old and already showing tons of promise. I would keep my eye on him if I were you. I have a feeling he will be giving us amazing music for many years to come. Check out a few tracks which he has let us post below. If you dig these I would run to get the rest of that record. Sooo good! "Music production is like analog photography - I'm always excited by the opportunities for creativity in experimentation, and I always prefer to create something unique rather than something perfectly produced through formulas and digital precision."